An American author known for her novels depicting frontier life on the Great Plains, she wrote such classics as O Pioneers!, My Antonia, and The Song of the Lark. Her literary work contains autobiographical elements and is notable for its air of nostalgia. She graduated from the University of Nebraska. She then worked in Pittsburgh for the Home Monthly journal. She was awarded the Pulitzer Prize for her novel, One of Ours. 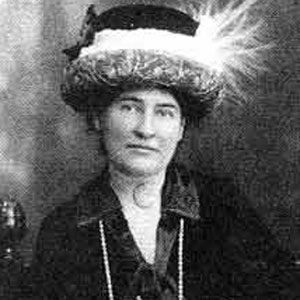 She was born in Gore, Virginia to Charles Fectigue Cather and Mary Virginia Boak. In her early thirties, she moved to New York City. She was an acquaintance of F. Scott Fitzgerald and exchanged letters with him.